The category of electronic medical supplies grows every year. It's not a self-contained category, as digital equipment and electronics span across many types of medical supplies. To help us get a grasp of what "electronics" can refer to in medical supplies and equipment, I've summarized it into a few broad groupings. These examples of software programs run in the hardware used by hospitals and physician practices. Software will continue to gain ground in the managing of patient health information, scheduling appointments, and billing for services. Some programs, such as various types of radiologic software, help record and interpret measurements, pictures, and other patient health data to assist physicians in diagnosis and treatment. 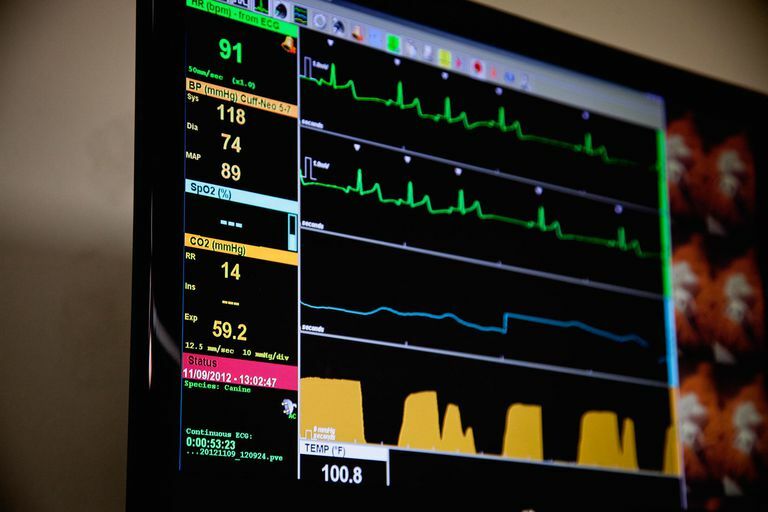 Monitors of various types are typically powered by software programs to provide real-time recordings of patient health status. Without these monitors, clinicians would have a more difficult time judging whether their patient was improving with the prescribed treatment. Products in this category are very useful in diagnosis. These are devices that are programmed (powered by software) to dispense a certain amount of medication into a patient at a rate specified by the clinician and dosing instructions. Various types of medications are infused by these electronic pumps through intravenous tubes into a patient. Plasma, Saline, and blood can also be pumped into a patient through the use of a medication pump. Most of the products in this class started out as "low-tech" durable equipment many years ago, but have since been upgraded and improved to include extra features through electronics. Powered beds and exam tables are now powered which allows a clinician to raise and lower the bed or the exam table to improve the ease and safety of access for the patient. Recliner chairs have been around for a long time also for patients who have needed dialysis or oncology infusion. An electronic upgrade made available in recent years is a heating element in a recliner chair that can be plugged in to warm up a patient (like the heated seat technology in cars). Some even have a massage feature. Cancer patients in particular often get cold during infusion, so this has become a sought-after feature. Mobile technology carts have come a long way in the past decade. The original term used to describe them was "COW" (Computer on Wheels). These types of carts did not offer much more than a pedestal base with some durable casters, and a cart top where a laptop could be placed and in some cases even locked down. These basic carts are still manufactured, but the trend has been to manufacture more capable carts. Clinicians are asking for more mobility and capability at the point-of-care. Thus the mobile workstation has evolved. Today's mobile workstations have a lockable case on the top of the cart to lock in a laptop or a thin client, but they also feature the ability to specify a pole so that a monitor (or two) can be mounted instead. Some diagnostic software today works better when viewed on larger screens, but the staff still needs the screen to be mobile. The pole mount option answers this need.